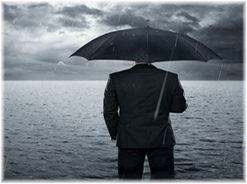 In a climate of FCRA class action lawsuits, the storm clouds continue to gather. Are your current policies a disaster waiting to happen? July 2014 – Home Depot Inc. faces a potential class-action lawsuit for allegedly running credit reports and background checks without notifying employees and job applicants. Nowhere in the terms and disclosures, provided by Home Depot’s online application, does it use the term consumer report or indicate to an applicant that Home Depot may search for personal information from consumer report agencies. The Home Depot Background Check Class Action Lawsuit is Henderson v. The Home Depot Inc., Case No. 1:14-cv-02123, in the U.S. District Court for the Northern District of Georgia, is still pending. May 2014 – A final settlement was approved in a complaint against K-Mart that alleged K-Mart willfully violated the FCRA prior to obtaining consumer reports and prior to taking adverse actions against the complainants. K-Mart agreed to pay a $3 million to settle the claim. May 2014 – Saye v. CSK Auto, Inc. d/b/a: O’Reilly Auto Parts, et al., Case No. 2:14-cv-3470, plaintiffs filed a class action against subsidiaries of O’Reilly Automotive, Inc. The allegation was made that the background check disclosures contained additional information and were in violation of the FCRA. Furthermore, adverse employment decisions were made without allowing the affected applicants the opportunity to see the background check report and dispute the results. April 2014 – In Camacho v. ESA Management, LLC, Case No. 14CV1089 CAB BGS, plaintiffs filed a class action against the operator of Extend Stay America hotels alleging it violated FCRA by including additional statements and information on the background check disclosure. February 2014 – In Gezahegne v. Whole Foods Market California, Inc., Case No. 4:14-CV-00592, plaintiffs alleged that Whole Foods failed to obtain the necessary authorization to obtain consumer reports from thousands of applicants. With statutory damages in the amount of up to $1,000 for each individual for whom Whole Foods obtained a consumer report without a valid authorization, not to mention punitive damages, and attorneys’ fees and costs, the damages are estimated to be in the millions. October 2013 – A final settlement was approved In Singleton v. Domino’s Pizza, LLC., No. DKC 11-1823, 2012 WL 245965 (D. Md. Jan. 25, 2012) in which Domino’s agreed to pay $2.5 million to settle claims that Domino’s took adverse actions against applicants without following the required pre-adverse procedure which mandates providing applicants with required notices prior to adverse action being taken. Although the FCRA has been around since 1970, using class action lawsuits to enforce it is a relatively new trend. There are many, many companies that have been (and still are) making simple mistakes. This includes additional wording on authorization and disclosure forms, including authorization/disclosures as a part of the general job application form, including a “release of liability” on disclosure/authorization forms, obtaining signatures at the wrong times, etc. Unfortunately, as noted above, these simple mistakes can be extremely costly. If your organization has been a little lax in following the letter of the law, now is the time to make some important changes! Disclosure – You must provide applicants with a disclosure prior to performing a background check. The disclosure form should notify the applicant that you are going to be conducting a background check on him/her. This disclosure form can be electronic or paper, but it must be separate. Authorization – You must get written authorization from an applicant that permits you to perform a background check on him/her. This form must be dated prior to the start of the background check. The FCRA does allow disclosure and authorization to be in the same form, however many organization are opting to not take any chances and are providing their applicants’ separate documents for each of these requirements. Adverse Action – This notification is going to disclose the final decision to deny employment based “in whole or in part” on the results of the background check. Again with this letter you are going to include the completed background check as well as the FCRA Summary of Consumer Rights and your CRA’s contact information. Justifacts has over 30 years of experience providing quality, compliant background checks. We provide detailed educational information on FCRA regulations, sample disclosure, and authorization forms. This fully automated adverse action tool that can assist our clients in generating and tracking the entire adverse action process. In addition, our full-time Compliance Team is available to help handle situations as they arise regarding adverse information that is found on an applicant’s report.